Wow! Those suits and ties are worth a lot of money on ebay these days! 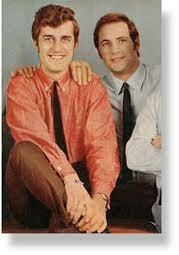 Oh, and Ray and Mike look good and still look the same in these here days! And, as ABBA would say, “Thank You for the Music”. By the way, don’t forget to visit the ABBA Museum in Stockholm, Sweden, it just opened May 7, 2013. I knew Ray, Mike, Justin, Graeme and John, The Moody Blues are still young, after all they are not in a museum, not today anyway. Those were the days my friend, we thought they would never end! Yes, those were the days my friend. A little story behind “Those were the Days” Paul McCartney called me with that song as a follow up to our first single Go Now. 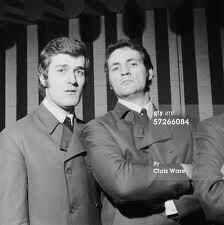 Ray Thomas and I thought it was a hit but that it was not for us and the path we wanted for our music. Paul gave it to Mary Hopkins. When I saw Paul a few years back it was the first thing we sang to each other. Cosmic circles ever turning.